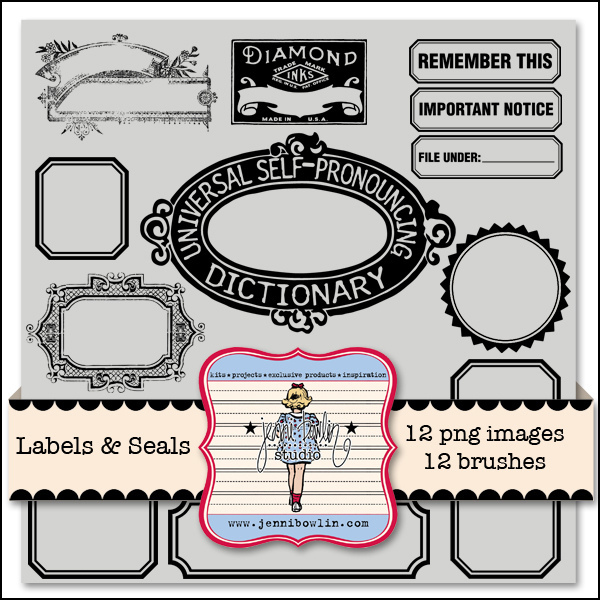 jbs inspiration: New Digi Release: Labels and Seals! Thank goodness its Friday, because Jenni's got another fabulous new release over in the digital shoppe at Jessica Sprague.com! 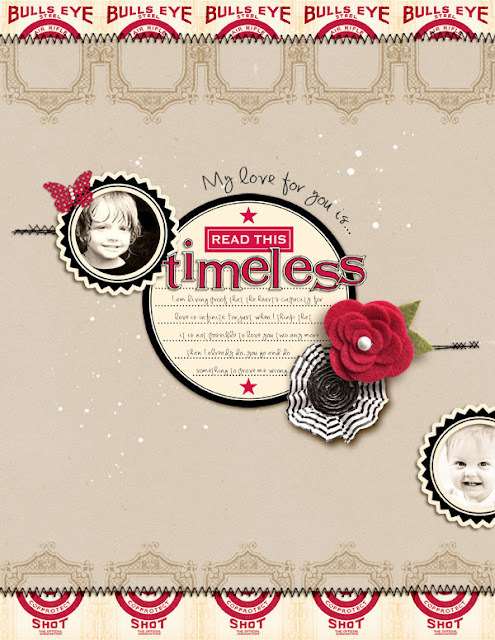 The new Label and Seals brush set features 12 beautiful vintage labels in .png and .abr format, several of which are some of my most beloved stamp designs from Jenni Bowlin Studio and quite possibly yours too! These beauties will be on sale for 25% off thru the weekend so stop by the digital shoppe and grab them--but first how about a small dose of inspiration from the JBS Digital Creative Team! I've used the labels and seals from this week's release in a couple of different ways in my own page. First I've turned the "Seal" stamp into sticker-style frames for these two tiny photos of my boys. 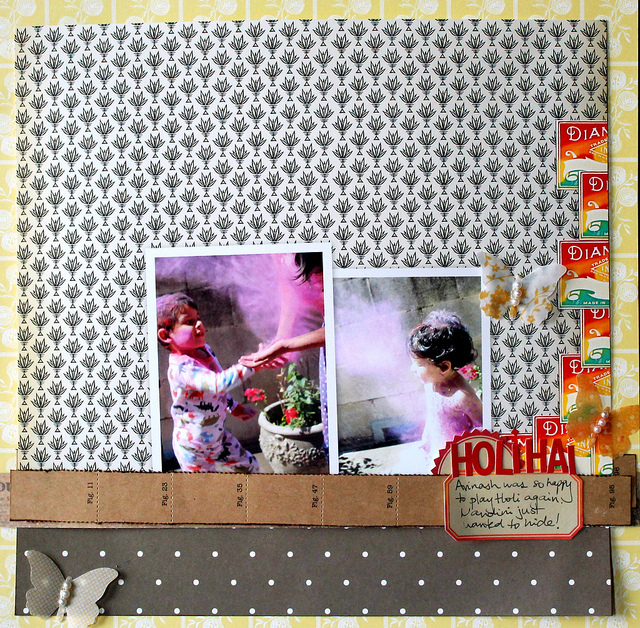 Then I used the "Ornate Frame" to create a watermarked border along the top and bottom of my kraft background. 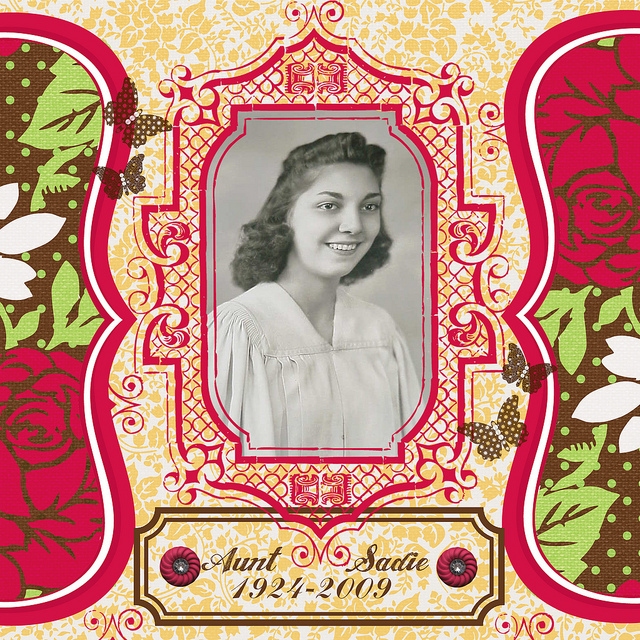 Chrissy Guido has used the "Ornate Frame" stamp to draw attention to her beautiful vintage photo on this bright and cheery heritage page. And finally Nirupama Kumar shows how truly versatile these stamps are in this beautiful hybrid page. I just love the tie-dye effect she's created with the "Diamond Ink" stamps that make up the eye-catching border that runs along the right side of her page and she's also used the stamps to create practical labels for her journaling. Beautiful pages ladies! Thanks for sharing. And don't forget the Labels and Seals are on sale this weekend only--sale ends Sunday night!